All mountain performance. A Calcium Bi-axial Fiber Drive Plate tuned to the perfect all mountain flex is paired with a responsive yet forgiving nylon highback formula. 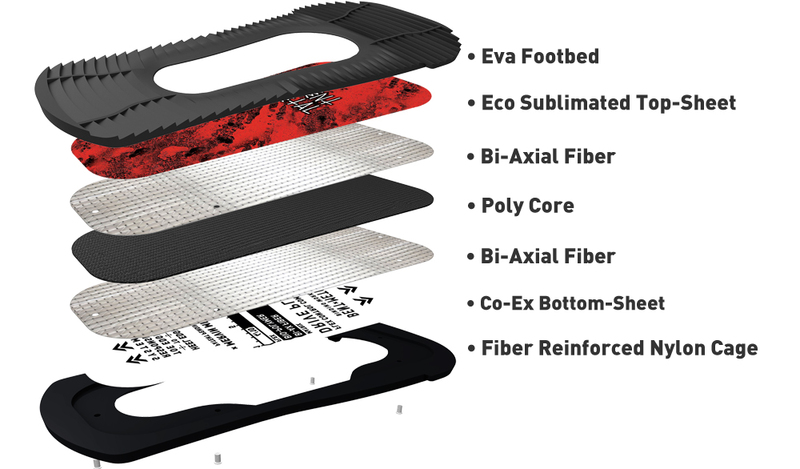 The combination of these materials and components create a fluid joint between you your board and the mountain. Soft Urethane flexes with your boot for smooth response and progressive freestyle snowboarding in any terrain.